How Do I Get the Sour Smell Out of Towels Once They Have Dried? Dampness, humidity and heat are all the ingredients needed for a sour smell to form. The sour smell on towels often is a result of mildew or mold forming on them. Improper laundering can cause towels to have a sour smell after you dry them. 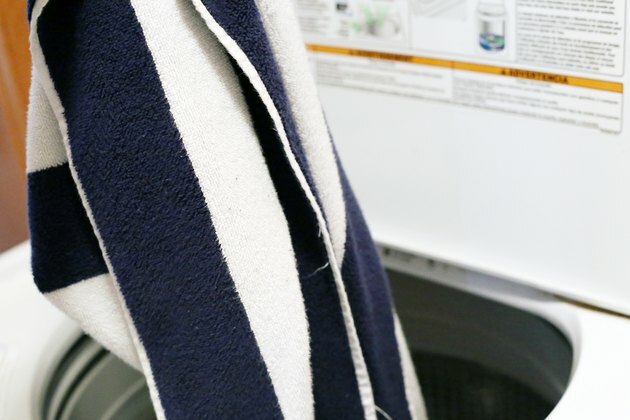 Remove the odor by properly laundering the towels with common items you have around your home. 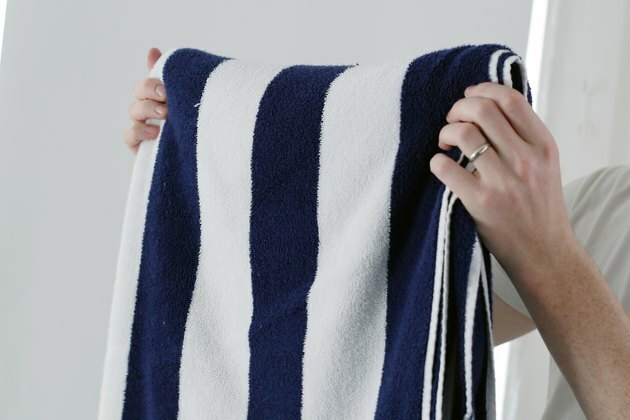 After you remove the smell, care for the towels properly to prevent the sour odor from returning. Place the sour towels in the washing machine. Set the water temperature to the hottest water that the towels can withstand. Read the care label on the towels to determine the recommended temperature setting. 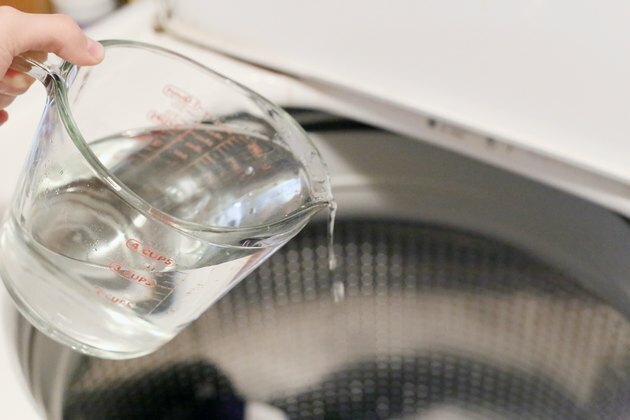 Pour 2 cups of white distilled vinegar into the washing machine during the rinse cycle. Allow the laundry machine to complete its cycle. Launder the towels again with the hottest water possible. 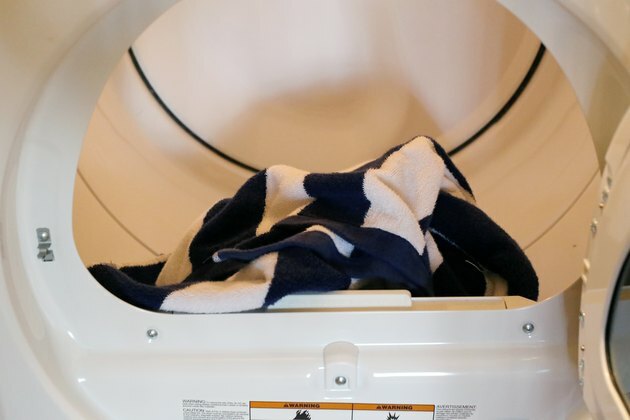 Add 1 cup of baking soda or washing soda to the laundry machine to help deodorize the towels. 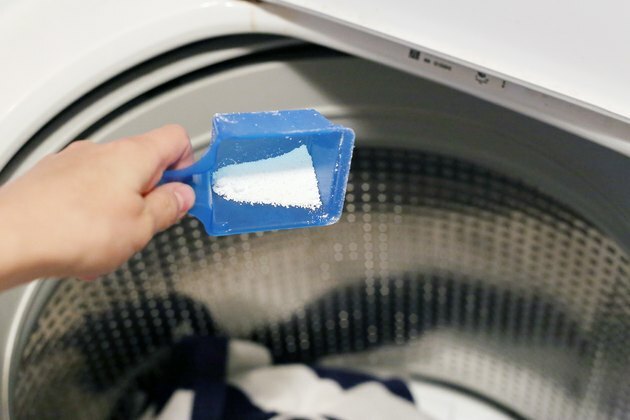 Add your preferred laundry detergent and launder them for another cycle. Remove the towels from the washing machine immediately. Place them into the dryer. You can also hang the towels outside to dry in the sun. Remove the towels from the dryer. 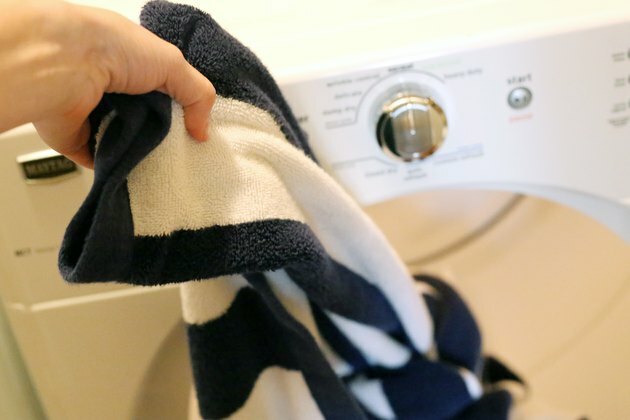 If the towels remain damp, place them in the dryer and allow them to finish drying. 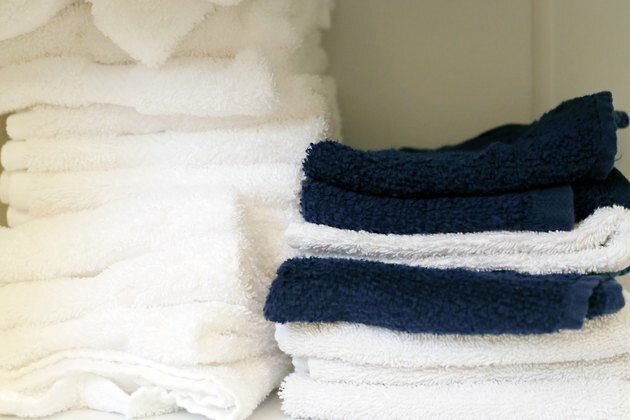 Treat the towels with the same odor removal process if you still notice a foul odor. If you have difficulty removing the smell, take the towels to the dry cleaners because they have specialized formulas to remove odors from laundry.